Truecaller is the most used caller identification service all around the world. Each and every smartphone users, either it is an Android or IOS device uses Truecaller application on their mobile. Now a day, it is more useful to filter unknown calls and even to block spam calls that might disturb users all the time. There as some cases in which you may wish to remove your mobile or landline number from truecaller, so that the number will not be listed in the Truecaller search list. Here we will check how we can unlist a number from truecaller. Before proceeding, you should know that, once the number is deleted from the Truecaller database, it will not be shown to other while you call and the number will not be available once searched. First thing to be done is to deactivate the truecaller account for the number which you are going to unlist. 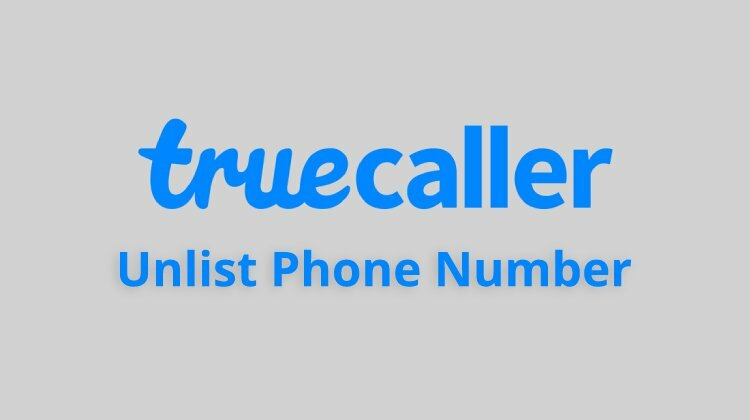 If the number you are looking to be removed or unlisted from true caller is already registered with truecaller. Then first you need to deactivate it. To do so, follow the steps. Step 1: Open the Truecaller application. Step 2: Click on the menu on the top left. Step 3: Click on the settings option from the list. Step 4: Then, click on the Privacy Center. Step 5: From the new page, click on the ‘Deactivate’ option. Now a new window will appear for the confirmation. Click on ‘Yes’. Now, your Truecaller account will be deleted. In the webpage, first you need to select the country (country of mobile number). The in the next field, provide the number that you are going to unlist with the country code. Then click on “I am not a robot” option and finally click on “UNLIST PHONE NUMBER” button. Now, a confirmation window will appear asking for the permission. Click on “UNLIST PHONE NUMBER” and done. Now the number will be removed from the Truecaller database. Note: Once you unlist a number, it will take some time to reflect. The number will be still visible in the search for a few hours and most probably within one day, it will be completely removed.